If you're like us and always wind up with left over pasta, here's a great next day serve up that's bound to be as good or better than the original. 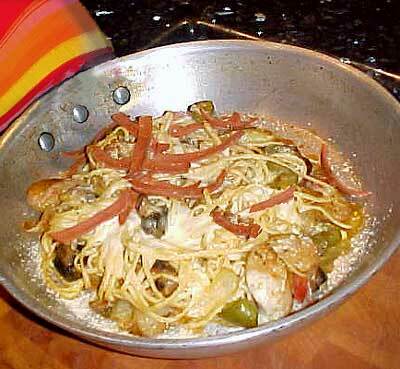 Sauté the green pepper, onion, tomato, mushrooms and garlic in a dry sauce pan until the flavors blend, set aside. Place the left over spaghetti in an oven proof fry pan. Top with left over sauce and set-aside sauteed vegetables. Garnish with olive oil, olives, salami and 2 cheeses. Bake uncovered in a 350° oven for about 40 minutes. Allow the baked pie to cool slightly and slice with a pizza cutter. One of the categories in my article directory is recipes ... while searching for blogs on splenda recipes, I came across your Spaghetti pie posting. We all know that the best content on the web is produced by bloggers ... unbiased first hand knowledge, experiences and opinions. Nothing to sell and no hidden agendas! As someone who is interested in splenda recipes, I believe you will find our recipes category to be of interest. 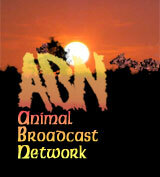 I am always looking for bloggers to contribute articles and help me to build the directory to everyone's benefit. As a contributor, you get the recognition of having your article published and seen by thousands of web users. The pride and satisfaction of seeing your article published in a prestige directory is hard to beat. Not all of us are gifted with the ability to write to professional standards of grammatical correctness ... as a result, many bloggers don't bother to have their articles published. I welcome an informal style of writing that matches your personality and fits in with your article content. I also appreciate articles that are uniquely based on your individual experiences, talents and ideas. All I ask is that your submissions do not contain vulgar content, incite hatred or generally offensive. All this is absolutely free ... please come over and have a look at my blog articles directory for yourself. One of the sections in my article directory is recipes ... while looking for blogs on apple crisp recipes, I discovered Spaghetti pie . As someone who appears to be interested in apple crisp recipes, I am sure you will find our recipes section to be interesting. I am continually searching for bloggers to submit articles and assist me to expand the directory to all our benefit. By contributing, you not only get the recognition of being an author, but also knowing your submission will be seen by many hundreds of internet surfers. The pride and satisfaction of seeing your article published in a prestige directory is hard to beat.